As the debate about school funding in Australia continues, the principal of a top private school says the most important factor in student achievement – that of teacher quality – is being largely ignored. The comments come after Federal Education Minister, Simon Birmingham, met with his State and Territory counterparts to discuss a replacement funding model for the 27 different agreements currently in place. 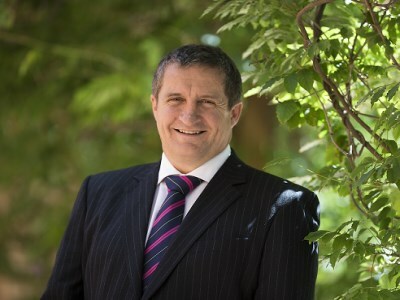 Derek Scott, principal of Haileybury school’s Melbourne campus, told The Educator that teacher quality was the “true focus of what makes a difference to the outcomes of students” but warned it was at risk of becoming forgotten as claims and counter-claims over funding absorb the education debate. “The problem is that the state of teacher quality is highly variable. In other words, our best teachers are outstanding but you cannot guarantee, if you have a child going through the 13 years of schooling, that they will have outstanding teachers in every classroom,” he said. Scott added that one of the problems with the level of teacher quality as a starting point is the number of teacher training institutions that Australia has. “There are over 30, and they are of varying quality, both in terms of intake of students they have, the low ATAR that is accepted and the institutions themselves. There is a lot of clutter,” he said. Scott suggested a reassessment of what the education system wants across each state in order to deliver a “consistently strong production line of quality teachers”. In the LEAD school effectiveness surveys conducted last year, Haileybury’s students gave the school an overall rating of 8.43 out of 10 for teacher quality – well above the average of other independent schools in Victoria at 7.34. There was a similar result from the parent survey with a rating of 8.55 out of 10 compared to an independent schools average of 7.95. Scott pointed out that Haileybury’s sustained focus on teacher performance includes a strong recruitment process, which he said includes all prospective teachers doing a demonstration class. “High ATAR and university academic outcomes are required from the graduate teachers we employ. Performance-based pay initiatives, an annual performance appraisal program and a coaching program are available for all staff,” he said. Scott added that Haileybury’s coaching program has vastly improved the confidence and performance of new and existing teachers. “We have the equivalent of five full-time staff across our three campuses in Melbourne who are involved in coaching the other teachers. So if a teacher has any areas they wish to improve upon, they can ask to be coached – and this can be done confidentially,” he said. Next year, Haileybury will aim to deliver core content online from one campus to the school’s four other campuses simultaneously. “A lot of what we are now looking at is how to improve our online delivery across our multiple campuses. We would like to deliver the core content of our classes, which would be conducted by a master teacher and an apprentice teacher supporting them,” he said.